From Birdwatching to Pond Dipping we offer and exclusive range of kits for wildlife education. Please see our Nature Education catagory for individual items. Small Pond Dipping Kit suitable for schools and wildlife groups. NB Nets not included. An inspirational focal point for your schools wildlife area or garden. SPECIAL ORDER ONLY, CONTACT FOR DETAILS. Large Pond Dipping Kit suitable for schools and wildlife groups. NB Nets not included. Small Pond Dipping Kit suitable for schools and wildlife groups. With small nets. Small Pond Dipping Kit suitable for schools and wildlife groups. With large extendable nets. Large Pond Dipping Kit suitable for schools and wildlife groups. With small nets. These small nets are a great for pond dipping and rock pooling or catching things in tanks. Pack of 5. 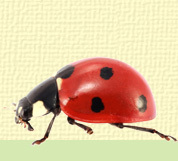 Bug Hunting Kit suitable for schools and wildlife groups. With large extendable insect nets. Bug Hunting Kit suitable for schools and wildlife groups. No nets. Bird Watching Kit suitable for schools and wildlife groups.